Your clothing is still downloading (2012) by Huckleberry Hax – What the Huck? Did the internet, I asked myself, really expose hidden, but pre-existing identity? Or did it create brand new identity that would never have happened without it? Or was its ultimate function just to take whatever identity you’d managed to build and to tear it into tiny, unexaminable pieces? Was Benjamin Burton just an evolution of his younger self – the guy I’d met at university who’d once told me he regarded marital fidelity as one of the most important pillars to the meaning of life – or was that man no longer in existence, replaced by a new human being who only happened to share a few of his memories? 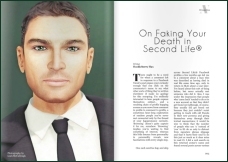 What’s a guy to do when his best friend asks him to impersonate him for an evening in Second Life? What if the person he wants fooling is his wife? And what if the impersonator has fallen in love with her before the week is over? 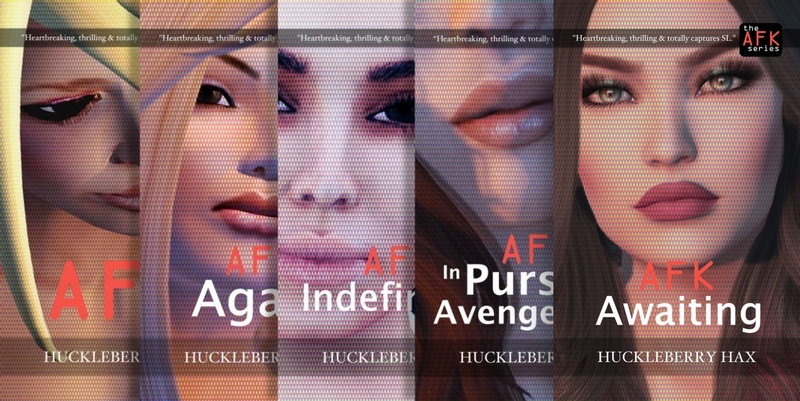 Your Clothing is Still Downloading is a Second Life novel from the author of AFK. Due to the way that Amazon operates in different countries, it’s best if you obtain your copy of ‘Your Clothing is Still Downloading’ from your ‘local’ Amazon website. Listen to Huck read chapter 11 here. I have read your book “Your Clothing is Still Downloading” and it was a wow; Huckleberry! The more I read, the more I wanted to read. Putting down the book was not an option! The fast paced narrative, enriched by well placed flashbacks adding to the main character’s profile, and the totally unexpected turnover of events keeps the reader hooked. I enjoyed it very much! Thank you! And congrats!